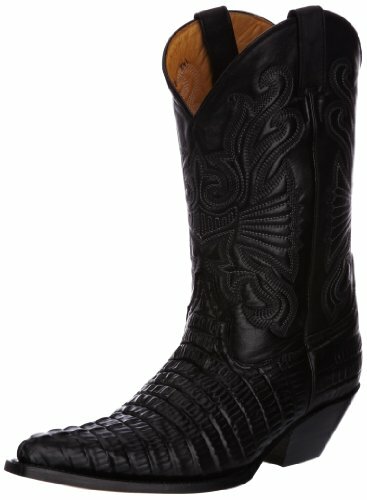 These Mexican style Carolina cowboy boots from Grinders have real unique styling with a crocodile skin effect leather foot top and classic cowboy shank. The boots are made from premium brown leather with a leather inner lining for ultimate comfort. The boots also feature a leather sole, pointed toe, wedged Cuban heel and pull straps.